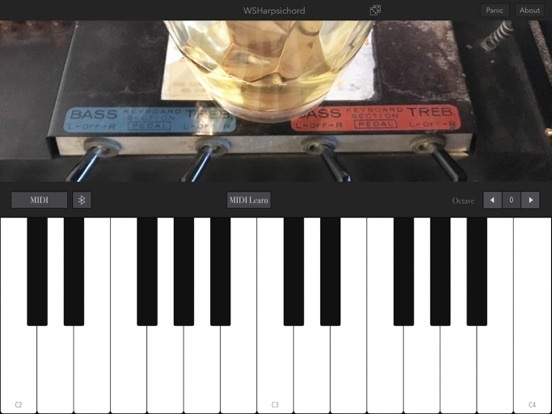 Jeffrey Sapiro released Whiskeyshot eHarpsichord, using the ROMPlayer source code from Matthew Fecher's FM Player. In fact it was Matthew that gave me the tip on this one. Matthew notes that this is the first time Jeffrey has done any coding at all! Sampled electric harpsichord, left uncalibrated and slightly out of tune for analog realism, for the price of a shot of whiskey. Each pickup was recorded to a separate channel (left/right). Use a cable splitter and plug into two amps or recording channels to mix different sounds, just like the real thing. Recorded in 24bit-44Khz with Mytek192. Made with Audiokit and Romplayer.